Wait, Is The iPhone X Expensive? While analysts are divided over the future demand for the latest iPhone, some are now prophesizing that hey, consumers might be turned off by a stupid expensive price tag. Like a $1,579 smartphone. Sinolink Securities analyst Zhang Bin walked back his iPhone X sales forecast on Monday, predicting in a report that Apple will ship 35 million of the devices in the first quarter of 2018, which is about 10 million less than his original estimate. "After the first wave of demand has been fulfilled, the market now worries that the high price of the iPhone X may weaken demand in the first quarter," Zhang wrote, Bloomberg reported. Monday's report had a bleak ripple effect Apple shares. Bloomberg noted that Lens Technology Co, Shenzhen Desay Battery Technology Co and Largan Precision Co all took a hit on Monday. "Lens recovered some of the losses on Tuesday, while Largan continued to slide," Bloomberg reported, noting that Shenzhen Desay "was little changed." JL Warren Capital LLC also predicted that iPhone X sales will take a hit in the first quarter of next year, down to 25 million devices from 30 million in the the last quarter of 2017. 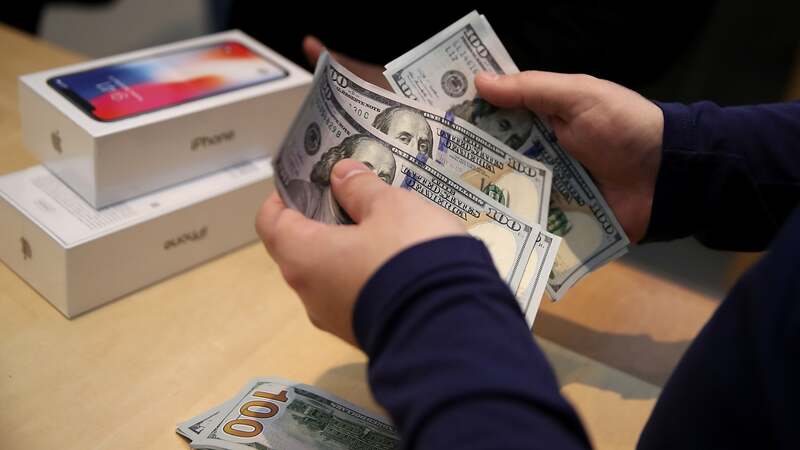 In a message to clients on Friday, the research firm cited the costliness of the new iPhone "and a lack of interesting innovations," according to Bloomberg. And Taiwanese newspaper Economic Daily News reported that Apple's iPhone X forecast for the first three months of 2018 was lowered to 30 million devices from 50 million, according to "unidentified supply chain officials." Loop Capital and Jefferies analysts are more confident of consumer willingness to shell out $1,579, the former predicting that iPhone X sales will hit 40-45 million in the first quarter of 2018 and the latter predicting about 40 million in that same time period. Tim Cook was optimistic, albeit vague, back in November when questioned about the demand for the $1,579 phone. "The ramp for iPhone X is going well, especially considering it being the most advanced iPhone created," he told Morgan Stanley analyst Kate Huberty during the company's fourth quarter earnings call. Cook also attempted to rationalize spending $1,579 on a slightly more sophisticated rectangle by comparing it to the purchase of a fancy cup of coffee. "An iPhone X costs less than one coffee per day at one of those nice coffee places," Cook said during the earnings call, drawing a comparison to those who pay for the iPhone X on a monthly payment plan. And if you're really committed to the planned obsolescence cycle, you'll surely have no problem sacrificing those fancy pastries for next year's new iPhone. But for those disinclined or unable to drop $1,579 on a new phone, there are a number of great, affordable alternatives.